I’m flying solo this week on the podcast, our first since the All-Star Break, to talk about a number of items that popped up recently in Yankee Universe. 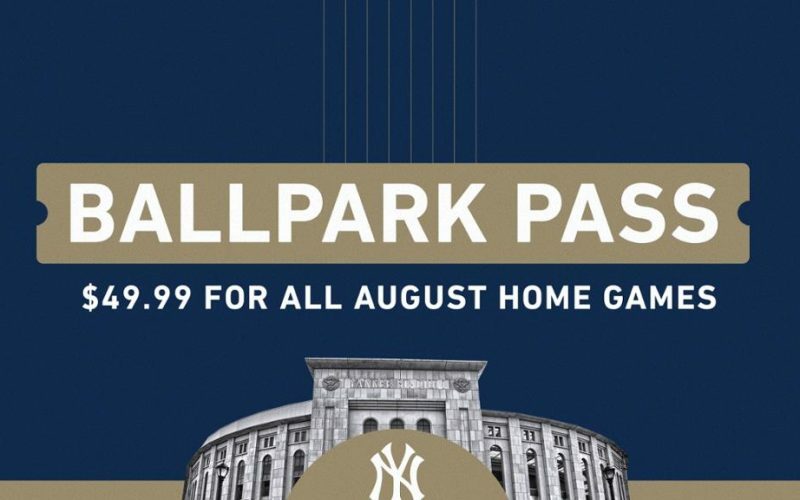 The biggest is obviously the introduction of the “Ballpark Pass” for August at Yankee Stadium. I’ll break down what the monthly pass entails, how much it costs and whether it’s a smart purchase or not. We wrap the episode with a couple of merchandise items: an OBJ/Yankee jersey update and the new (and almost as-ridiculous) Subway Series hat that New Era is selling and thankfully, the Yankees are not wearing on the field. As always, thanks for listening and be sure to rate/review/subscribe/tell your friends!